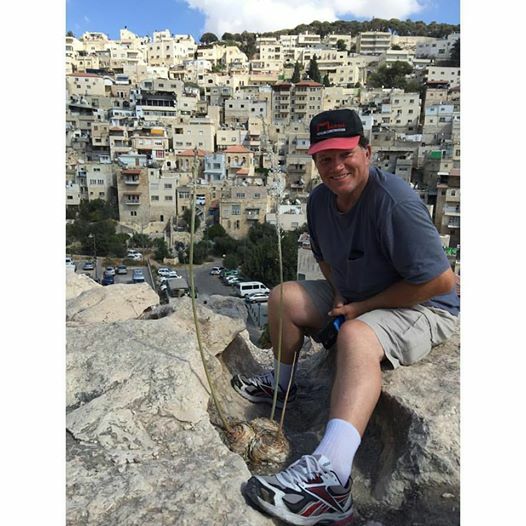 Over the past month I have been showing you how beautiful this land of Israel is. I have told you how Yahweh is calling you back to this land with over 700 scriptures. I have also told you how each time I have gone over there, something miraculous happens. It is an awesome land. If you’re a Messianic believer and or teacher of this way of life (i.e. Torah centered) and would like to add your support to this cause, now is the time to stand up and be counted. We are working on another web site with a forum and a halachah that is not a part of any one leaders’ teachings. We are hoping that it will represent ALL Ephraimites. We have some huge obstacles to overcome, and to be honest, the giants of the land do look to be too big for us. But……You know who can remove them and you know who can move mountains and stop the rivers so that we can go across on dry ground. You know who can change the hearts of those who are working to prevent this from happening. You know who can cause the right people to come along at the right time. You know what to do. You can begin to pray for this unification to take place. Come and take your place in the resurrected Body that belongs to Yahshua, the King. For Zechariah says “And they of Ephraim shall be like a mighty man, and their heart shall rejoice as through wine” (Zech 10:7). This week I have just read two articles from The Trumpet.com which expand on two articles I had written to you earlier this year. I can’t recall which News Letter at the moment. Isaiah 19:1 The burden against Egypt. Behold, the Lord rides on a swift cloud, And will come into Egypt; The idols of Egypt will totter at His presence, And the heart of Egypt will melt in its midst. 2 “I will set Egyptians against Egyptians; Everyone will fight against his brother, And everyone against his neighbor, City against city, kingdom against kingdom. 3 The spirit of Egypt will fail in its midst; I will destroy their counsel, And they will consult the idols and the charmers, The mediums and the sorcerers. 4 And the Egyptians I will give Into the hand of a cruel master, And a fierce king will rule over them,” Says the Lord, the Lord of hosts. Daniel 8:23 “And in the latter time of their kingdom, When the transgressors have reached their fullness, A king shall arise, Having fierce features, Who understands sinister schemes. 24 His power shall be mighty, but not by his own power; He shall destroy fearfully, And shall prosper and thrive; He shall destroy the mighty, and also the holy people. 25 “Through his cunning He shall cause deceit to prosper under his rule; F27 And he shall exalt himself in his heart. He shall destroy many in their prosperity. He shall even rise against the Prince of princes; But he shall be broken without human means. California has a GDP of $1.8 trillion, larger than the economies of Russia, Brazil, Canada and India. It’s America’s most populous state with 38 million people. And it’s in the final throes of financial death — bankruptcy. Yesterday, the Golden State had no choice but to begin paying its bills with i.o.u.’s. And now, Moody’s and S&P are watching from the sidelines, poised to downgrade the state’s bonds by several notches to junk status in one fell swoop — a move that’s going to crush the tax-exempt bond market and could send stocks off the proverbial cliff. We have done everything in our power to warn you that this shoe was about to drop — and the national media is taking notice. I think you should too. My main point to Fortune: California is facing a $24 billion budget gap with no obvious way to close it. The state has appealed to Washington for a federal bailout, but it has gotten the cold shoulder from the Obama administration. Next, expect draconian cuts that will merely deepen California’s depression and cause a rash of ratings downgrades. Now, this morning, The New York Times has also picked up my warnings under the headline “California I.O.U.’s Add to Bondholders’ Worries.” My key comment: If the state can stiff its commercial creditors with i.o.u.’s, what’s to prevent it from stiffing bond investors in the future? The sad fact is, California could be just the first domino to fall in an avalanche of downgrades and defaults among cities, counties and states from coast to coast. The likely consequences: Chaos in the bond markets … wild swings in stocks . Martin has recently shown me statistics showing us that we are in a similar Perfect Storm as we were in 1929. Although the media are telling us that we are at the end of this recession, technical analysts are showing us that we about to continue the decline until we hit bottom in 2012. Only after that time will stocks begin to appreciate. Unemployment is expected to exceed 10% by many economists, and Obama “has warned that the unemployment rate will explode to at least 10% in 2009?. This magazine has been watching Joseph Ratzinger for a long time. As we have watched, we have followed his course from chief confidante of the late Pope John Paul II, to his enthronement as pope, and then on throughout the past four years of his controversial papacy. As we have watched this leading religious figure, we have monitored his involvement in a clandestine project of the Vatican that was documented in Bible prophecy almost 2,000 years ago and which remained a mystery until fully exposed within the last two decades. Now, in light of Benedict XVI’s visit to Israel in May, his first since being elected pope, it is crucial that the Vatican agenda for the city of Jerusalem be publicized. one particularly startling reference by the pope regarding the Vatican’s ultimate goal of transferring its headquarters from Rome to Jerusalem. What was unusual about this admission of John Paul II was that the Vatican’s intentions to possess Jerusalem are seldom publicized and little commented-on. In fact, an air of secrecy—something that the Vatican has a history of creating over various of its affairs over the centuries—has surrounded this project since the failure of the Crusades, the most obvious of the overt and now very historical attempts by the Vatican to seize control of the Holy City. Those attempts have a long history with strong attachments to the German nation, right up to the past two world wars, and beyond to our present day. As far back as the eighth century A.D., emissaries were sent to Jerusalem by Emperor Charlemagne to negotiate an agreement with the Muslim Caliph Haroun al-Raschid. The result was, Jerusalem became a protectorate of the Holy Roman Empire. Historical records indicate that such a protectorate was limited to the oversight of the welfare of Christians, the care and protection of designated holy sites, and the properties of the Roman Catholic Church in Jerusalem. The fact that the caliph would be a financial beneficiary to this enterprise was a given. Muslim support of the Kaiser’s army in World War I, and again of the Nazi regime in World War II, was the end result of a long historical nexus between the Muslims and Germany. From the time of the Charlemagne/Haroun pact, through the attempt by Kaiser Wilhelm to seize Jerusalem in World War I, to this day, elements within Germany have historically viewed themselves as protectors of the Roman Catholic Church. From the time of the failure of the great Crusades, German elites have worked to find ways and means of seizing the plum job of protector of Jerusalem. Recently, courtesy of the actions of Germany’s Vice Chancellor and Foreign Minister Frank-Walter Steinmeier, Germany has aggressively stepped up its diplomacy in the Middle East. Vatican and German diplomatic moves in Israel are both linked to a common end: possession of the Old City of Jerusalem and most of the eastern half of the city. The Jews are the pawns in this grand game of international diplomacy. The Palestinians are the grunts on the ground, eager to help divide Jerusalem and annihilate the State of Israel in the process. The Vatican already has a significant presence in Jerusalem. Under Israeli law, Rome has legal jurisdiction over, and free access to, its holy sites, including both its institutions and assets in Jerusalem. The consolidation of these arrangements came in a bilateral agreement termed “The Fundamental Agreement Between the Holy See and the State of Israel,” which the Israeli government signed with the Vatican on Dec. 30, 1993. The terms of this agreement, composed in secret, were subsequently legislated by the Israeli parliament, the Knesset. On June 15, 1994, six months after signing the bilateral agreement with the Vatican, the Israeli government inked another agreement with the Vatican endorsing the Roman Catholic Church’s participation in negotiations to determine the future of Jerusalem. This was followed in February 1996 by Secretary General of the Vatican Serge Sebastian announcing that Rome recognizes Palestinian sovereignty over East Jerusalem. The Vatican had thus revealed its hand. Four years later, the Palestinian terrorist Yasser Arafat met in audience with Pope John Paul ii at the Vatican. The two signed an accord normalizing relations between the Palestinians and the Roman Catholic Church and agreeing to work toward establishing Jerusalem as an international city based on international guarantees. Later that year, the pope visited Israel. Declaring that Jerusalem was the main obstacle to peace in the region, he publicly called for international oversight of the holy city to safeguard its sacred sites. It is clear that Germany’s and the Vatican’s Middle East policies are aligned. Each is patently playing both ends—Israel and the Palestinians—toward the middle. Germany and Rome used the same tactic in the Balkan Peninsula to achieve a desired result with implicit UN agreement, with the Serbs becoming the pariah in the world’s view. This time, it’s the Jews who are being pilloried, especially since the Gaza incursion in January. The result will be the same: the seizure of iconic territory to be placed under the influence of Berlin and Rome with the willing acquiescence of the United Nations. Journalist Joel Bainerman, a wellknown commentator on Israeli affairs, wrote, “The end goal of the Vatican is to seize control of the Old City of Jerusalem out of the clutches of the State of Israel. To that end they have a secret agreement with Israel which obliges Israel to respect the ‘extraterritorial’ claim to their physical presence in the city. In short, we have accepted the Vatican’s rights to have little Vatican sovereign embassies throughout our eternal capital of Jerusalem. That same Vatican has committed itself, in public and in a written agreement, to ensure that the Palestinians have sovereignty in the Old City of Jerusalem” (www.joelbainerman.com). Yet, beyond the proof of the hidden agenda of the Vatican exposed by commentators, there is the “more sure word of prophecy,” which we have well documented in our publications, that forecasts this very reality. In Daniel 8, we read about the coming of an individual who will be the spiritual head of a great religio-political institution centered in Europe. The entity he leads is prophesied to spread its tentacles “toward the south, and toward the east, and toward the pleasant land” (verse 9). Believe it or not, your Bible prophesies the hidden agenda of the Vatican! The press and media remain fixated on what they believe are the faltering mistakes of a pope out of touch with reality. (Witness the imbroglio over Benedict’s Regensburg speech and the latest kerfuffle regarding the lifting of the excommunication of the four Lefebvrist bishops, including the Holocaust-minimizing Richard Williamson.) Such diversions are but a smokescreen for those whom Lenin famously called “useful idiots.” They keep people diverted from following the scent on the track to the ultimate Vatican story, the coming takeover of Jerusalem by Rome! This spat is no trivial matter. Hezbollah is essentially an arm of Iran. And Iran poses a serious threat. Its infiltration of Egypt has become so deep that Cairo felt impelled to act. The Hezbollah cell arrested in April had smuggled weapons and arms to Hamas, planned attacks on tourists in the Sinai, and conducted surveillance on the Suez and other strategic targets. According to Egypt’s Attorney General Abdel-Magid Mohammed, it had rented apartments overlooking the Suez Canal to spy on canal traffic, and held training workshops on how to spread Shiite ideology in Egypt. Nasrallah rejected the many accusations but did admit that Hezbollah had some operatives in the area to smuggle weapons and men into Gaza. In spite of the bust, the threat is far from neutralized. Israel’s Lt. Col. Moshe Marzouk, of the International Institute for Counter-Terrorism, warned: “Other cells operate in Egypt. The one that was uncovered is neither the first nor the last, and so there is still the danger of an attack against the Israeli Embassy in Cairo” (Ynetnews, April 13). “Egypt’s territory has become no-man’s-land for the smuggling of money, weapons and terror cells. In fact, because of the difficulties in transporting arms, Hezbollah and the Iranians have built rocket production workshops in Sinai,” Lieutenant Colonel Marzouk continued. “However, until now the Egyptians preferred not to act against the cells, assuming they do not pose a threat to the Egyptian regime but [are] rather meant for Gaza. Hezbollah is not the only group Iran is using to infiltrate Egypt. Iran has long had informal ties with Egypt’s Muslim Brotherhood, an extremist group that aims to create an Islamic state in Egypt. Iran has also heavily penetrated Egypt’s neighbor Sudan, out of which the Nile flows. Journalist Smadar Peri painted a dire picture of how vulnerable this makes Egypt: “In one moment, Iranian intelligence agents can block the Nile’s water sources, Egypt’s lifeblood, send in al-Qaeda-style murderers, and smuggle weapons and explosives not only to Gaza’s tunnels but also to Cairo and to the Alexandria Port” (ibid., April 12). It is now clear to Egypt’s leaders that Iran’s presence through Hezbollah—not to mention Egypt’s own Muslim Brotherhood—is a threat not only to Israel, but to their own nation as well. Marzouk says Iran’s hold on Egypt is already too strong for Egypt to shake off. Hezbollah’s activities in Egypt have Iran’s fingerprints all over them. Two of the Hezbollah agents arrested in April worked for an Iranian TV channel broadcasting out of Cairo. Its offices were used by Hezbollah for secret meetings. The government knows that Iran is the real enemy. Egyptian daily Al-Ahram quoted a senior official in Cairo saying that Iran was plotting to use Hezbollah to attack various targets across Egypt. “The terror network is just part of the second stage of the Islamic revolution, whose goal is not only to take over Iran like in Khomeini’s days, but also to export the revolution to the Muslim countries of the region,” Marzouk stated. “Iran has started pouring money into the Arab countries years ago, in a bid to establish ideological-religious infrastructure that would help topple the Sunni regimes” (op. cit.). Now Egypt has had to act against Hezbollah for its national security. It shows how strong Iran’s influence has grown. Over recent years, Egypt has shifted closer to Iran. Iran wants Egypt onside—either by cajoling it into forming an alliance or by replacing the regime with one more supportive of the Islamic revolution. By infiltrating Egypt with groups like Hezbollah, Tehran could compel Cairo to align more with Iran to avoid trouble—or it could use the group to help put an Islamist government in power. Egyptian President Hosni Mubarak is aging. If he died or was removed violently, it would be easy for the popular Muslim Brotherhood to take over. Should that happen, you could expect the Brotherhood to align Egypt with radical Iran. For years, the Trumpet has warned that Egypt will ally with Iran just before the return of Christ. Daniel 11:40 prophesies that “at the time of the end shall the king of the south push at him: and the king of the north shall come against him like a whirlwind.” A pushy nation south of Europe will provoke a great northern European power. This nation is Iran—a nation constantly pushing against the world’s major powers. But then verse 42 lists Egypt as one of Iran’s allies. Our free booklet The King of the South explains this prophecy. Iran’s infiltration of Egypt is a step on the road toward Christ’s return. The Bible shows that Egypt will soon be allied with Iran. Watch closely for this prophecy to be fulfilled. This is what we are now going to look at without emotional rhetoric that many tend to bring up. Law and Grace and not Law Versus Grace. These are indeed difficult scriptures to read and to understand what is being said. So brethren please read them carefully and prayerfully and we will explain them so that you can understand. But before you continue please go read Ray Foucher’s short 3 part article on this subject. Peter said it so accurately in 2 Peter 3: 15 and consider that the longsuffering of our Lord is salvation–as also our beloved brother Paul, according to the wisdom given to him, has written to you, 16 as also in all his epistles, speaking in them of these things, in which are some things hard to understand, which untaught and unstable people twist to their own destruction, as they do also the rest of the Scriptures. 17 You therefore, beloved, since you know this beforehand, beware lest you also fall from your own steadfastness, being led away with the error of the wicked; 18 but grow in the grace and knowledge of our Lord and Savior Jesus Christ. To Him be the glory both now and forever. Amen. As some of you know I am studying under Professor WA Liebenbeg of the Hebraic Roots Teaching Institute, sponsored by Calvary University, of South Africa. I have been blown away by some of the things I have already learned in the books I have been reading. With their permission I am going to share with you some of these subjects. There by you will both learn the truth and get a handle on what this Hebraic Roots Teaching Institute is sharing with those willing to learn. We begin with Paul. Ac 5:34 – Then one in the council stood up, a Pharisee named Gamaliel, a teacher of the law held in respect by all the people, and commanded them to put the apostles outside for a little while. It was this same Gamaliel that the Apostle Paul studied under. Now read carefully what Acts 21 says of Paul; 18 On the following day Paul went in with us to James, and all the elders were present. 19 When he had greeted them, he told in detail those things which God had done among the Gentiles through his ministry. 20 And when they heard it, they glorified the Lord. And they said to him, “You see, brother, how many myriads of Jews there are who have believed, and they are all zealous for the law; 21 but they have been informed about you that you teach all the Jews who are among the Gentiles to forsake Moses, saying that they ought not to circumcise their children nor to walk according to the customs. 22 What then? The assembly must certainly meet, for they will hear that you have come. 23 Therefore do what we tell you: We have four men who have taken a vow. 24 Take them and be purified with them, and pay their expenses so that they may shave their heads, and that all may know that those things of which they were informed concerning you are nothing, but that you yourself also walk orderly and keep the law. 25 But concerning the Gentiles who believe, we have written and decided that they should observe no such thing, except that they should keep themselves from things offered to idols, from blood, from things strangled, and from sexual immorality.” 26 Then Paul took the men, and the next day, having been purified with them, entered the temple to announce the expiration of the days of purification, at which time an offering should be made for each one of them. Ac 22:3 – 1 “Brethren and fathers, hear my defense before you now.” 2 And when they heard that he spoke to them in the Hebrew language, they kept all the more silent. Then he said: “I am indeed a Jew, born in Tarsus of Cilicia, but brought up in this city at the feet of Gamaliel, taught according to the strictness of our fathers’ law, and was zealous toward God as you all are today. Notice they are all zealous for the law! These are the gentiles that Paul had taught, and they all were zealous for the Law!!! But notice that in just a few versus before Paul had demonstrated his obedience to the law by doing as James had said and he was purified with other men as the torah dictates. 23 Therefore do what we tell you: We have four men who have taken a vow. 24 Take them and be purified with them, and pay their expenses so that they may shave their heads, and that all may know that those things of which they were informed concerning you are nothing, but that you yourself also walk orderly and keep the law. 25 But concerning the Gentiles who believe, we have written and decided that they should observe no such thing, except that they should keep themselves from things offered to idols, from blood, from things strangled, and from sexual immorality.” 26 Then Paul took the men, and the next day, having been purified with them, entered the temple to announce the expiration of the days of purification, at which time an offering should be made for each one of them. By doing this Paul showed he kept the Torah. I just wanted to point this out. Paul was a Jew and he was raised a Jew taught by the respected rabbi Gamaliel, and thousands of Gentiles were now believers who were zealous for the law. There is nothing here that shows us Paul is doing away with the Torah. Also note and understand this. That by time of this arrest of Paul both the books of Romans and Galatians had already been written. And just as they are misunderstood today by many that call themselves Christian, and also by many who are called Jewish, they were also in Paul’s day misunderstood and this led to his arrest at the Temple that day because of the mob that wanted to kill him. We begin this series with Colossian 2:13-14. This comes from the books by Ariel & D’vorah Berkowitz. One is called Torah rediscovered and the other is Take Hold. I highly recommend you each add these to your libraries. There are some who assume that the subject of this passage is the Torah and that the Torah was nailed to the cross with Yahshua, thereby rendering it either inoperable or cancelling it altogether. They get that impression by the surface reading of the words, 14 having cancelled out the certificate of debt consisting of decrees against us, which was hostile to us; and He has taken it out of the way, having nailed it to the cross. (NAS) According to this interpretation, the Torah is represented by the words ‘certificate of debt consisting of decrees’. This passage, however, provides us with a classic example of how necessary it is to study the scriptures in their original language along with their original cultural context. In being faithful to this hermeneutic it becomes clear that the Torah, as a document, is not the subject of this passage. Taking this into account we can come away from this passage with a completely different impression than many received it in English without reference to the Greek. “If we are unable to point to the source of the ‘bond nailed to the cross’’, it may be at least allowed in passing to refer to “the cross on the bond”. Wwe have learnt from the new texts [he is writing in 1922!] that it was generally customary to cancel a bond [a debt] by crossing it out with the Greek cross-Chi ( X ).” Quoted from Adolf Deismann, Light from the Ancient east, page 332-333. Some people refer to this verse to say that believers in Yahshua should not practice the mo’adim taught in Leviticus 23. We begin our analysis with Paul’s statement in verse 5. Here he writes how delighted he is to see how orderly they are and how firm is their faith in Messiah. He follows this praise with an exhortation to continue to live in Him in this manner and to see to it that no one takes them captive through hollow and deceptive philosophy, which depends on human tradition and the basic principles of this world rather than on Messiah. This is hardly a description of Torah. Continuing on through the passage, this description of the apostle`s warning is coupled with the rest of his warnings found in verses 16-23. When we make this connection, we have an exact description of man`s age old tendency of creating from God`s word an intricately complicated system of do`s and don’ts to which one is held accountable. This system is then accompanied by a sophisticated philosophy designed to awe the hearer into accepting these pious reasons for submitting themselves to these burdensome laws. Please note that here Paul reminds them of their original doctrine. Their doctrine is the reason why they are to not embrace any reasoning that leads to any form of man-made rules and regulations, no matter how clever the presentation may be (verses 9-15). It is possible to render verse 17 in a slightly different manner by translating it” These things are a shadow of what is to come, the body of Messiah.” We know this is quite a different translation than which is found in most English versions. However, it is perfectly consistent with the Greek text (although not consistent with many people’s theology!) The second phrase, tò dè sóma toú Christoú (?? ?? ???? ??????? ), is that which is in question. The particle ?? is usually rendered as a contrasting particle, such as “but” or “however”. Yet, it does not have to be understood in that way. In fact, sometimes, it is not even translated. (Arndt and Gingrich, op. Cit., 170). Granted, the word order in this phrase might imply that a contrast is intended. However, we do not see it that way. The next words are rather simple. They mean literally, “the body of Messiah”. Putting this verse together then, we can understand it to mean that the practices of Torah described in Colossian 2:16 are shadows of that which was to become a reality, the body of Messiah. Having the real thing with us is, of course, the best. However, although the Torah illustrates or foreshadows realities of the body of Messiah, that does not make it useless or unimportant.. We are merely to interpret it with its fullest intended meaning, that is, with the understanding that it pictures the person and work of the Messiah and life in His body. Thus rather than imploring believers to cease obeying the Torah, Colossians 2:16-17 provides us with the real motive for obeying the teachings of the Torah. We are to obey them with the intention of seeing the Messaih in them. We are not, however to use them as a club with which to hit those on the head who do not obey them! In other words, we are not to judge others in their practice of Torah. Whenever we have written concerning the Torah we have stated the Torah was given to the redeemed and describes their intended lifestyle. This passage seems to teach the opposite. Paul states, “the fact that law is not made for a righteous person….” Should we adjust our position concerning the Torah? Not at all! The correct understanding of this passage requires noting a subtle difference between two different usages of the word “law” (nomos). The first time it is used is in verse 8 “But we know that the Law is good, if one uses it lawfully”. Here, we can observe two things about the word “law”. First, it is used with a definite article (“the”) in the the Greek. This would imply that the Torah is in view, and not the legalistic concept of “law”. Second, Paul describes the Torah as “good”. He says that it is good if it is used properly. What was a proper use of it? Paul’s relationship to Timothy can provide a good example of proper usage. As noted above, Paul encouraged Timothy-who was already made righteous through the blood of Messiah-to be circumcised. Moreover, he also writes to Timothy that the Torah (as well as the rest of the Tanach) is profitable; “All Scripture is inspired by God and profitable for teaching, for reproof, for correction, for training in righteousness; so that the man of God may be adequate, equipped for every good work.” (2 Timothy 3:16-17) These were, indeed, proper usages of the Torah. The letter to the Galatians is an example of how the Torah can be misused-as a means of attempting to earn or to keep one’s salvation. Changing the Torah from Yahweh’s Words of Life to the redeemed and making it into “law” would be a misuse of Torah. This leads us to the second usage of the word “law”. Verse 9 tells us, “law is not made for a righteous person”. Here, there is no definite article in the Greek before the word “law” Judging from the previous uses of this grammatical construction, there is a good chance that the Torah is not in view here, but that pernicious theological concept called “law”. Indeed “law” is not for righteous people. They have nothing to do with law. Instead they have been given Torah! On the other hand, sinners are associated with law. Not only do they always approach Yahweh by means of legalism, but the only things Yahweh’s laws can do for them is to condemn them and point them to Messiah. At that point, Yahweh’s Torah takes over and instructs them in their new identity as new creations constituted by the righteousness of Yahweh through their new birth. Brethren read this over carefully and prayerfully before you send me hate mail. We have much more to cover in the weeks to come. I hope you will read this with an heart to learn and to understand. May Yahweh watch over you and guide you in your spiritual growth and to know only the truth. If you would like to help support the efforts of this web site in these difficult times, donations are accepted at the above address. To those who have helped in the past, thank you. As we go forward your help is critical. Thank you again.